Make beautiful flowers quickly and easily with the coordinating Bunch of Blossoms stamp set and Blossom Builder punch!! 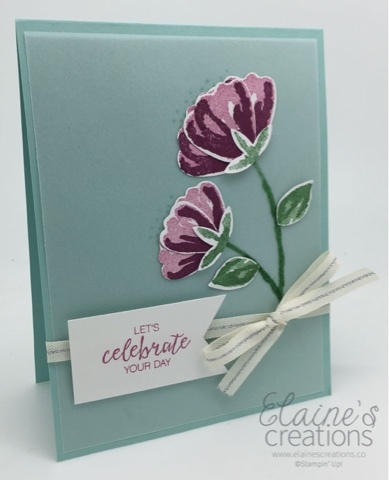 Add a soft layer by using vellum and adding some background soft background stamping. And the best news is that this bundle is only $35! (You save 10% when you purchase the bundle!) Click below to order any of the products used to make this card! !